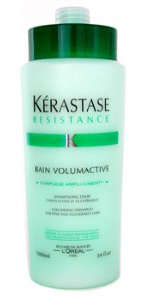 Volumizing Shampoo for Fine, Vulnerable Hair. Hair is gently cleansed while each strand is fortified from within. Texture is enhanced with added volume and fullness.